It began on the swampy marshes of Jamestown in 1607. It ended on the battle-scarred landscape of Yorktown in 1781. It was 174 years of hope, frustration, adventure, and growth that saw a lonely settlement of 104 men and boys grow into a nation of 3 million people of many races and beliefs. Jamestown and Yorktown mark the beginning and end of English Colonial America. Vessels carrying 104 colonists anchored in the James River in May 1607. They established the colony of Virginia, with Jamestown as capital, under a charter granted by King James I to the Virginia Company of London. Life was never easy at Jamestown. Only 90 of nearly 300 colonists survived the "starving time" in the winter of 1609-1610, and disease and malnutrition ravaged the settlers for decades. As the colony struggled to survive, its people participated in an early form of representative government and confronted questions that would continue to surface in America—questions concerning slavery, African Americans and American Indians. Today, Historic Jamestowne offers a wealth of activities to explore the first permanent English settlement in North America. You can take a walking tour with a park ranger, watch a glassblowing demonstration, and share the moment of discovery with archaeologists at the 1607 James Fort excavation. Driving tours explore the natural setting, where exhibits explain how the settlers harnessed the forces in the wilderness. The Virginia colony was the first of 13 established by England in North America. In these lands owned by the British crown, cities, economic activities, and political institutions developed during the 1600s and 1700s. So too did tensions between the colonies and their sovereign country, and in 1775, the American Revolution began. In Virginia, across the peninsula formed by the James and York rivers, the colonies, after years of fighting, achieved a military victory against Great Britain that led to their independence and the establishment of the United States. Today you can see the site of this victory, the Yorktown Battlefield. Here, on October 19, 1781, British forces under Lord Charles Cornwallis surrendered to the combined American and French armies led by General George Washington, concluding the battle that signaled the beginning of the end of America's successful fight for independence. 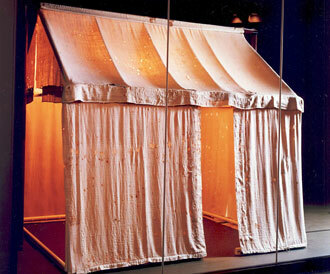 At Yorktown Battlefield, start at the visitor center and see the museum exhibits, including the field tents used by General Washington during the battle. 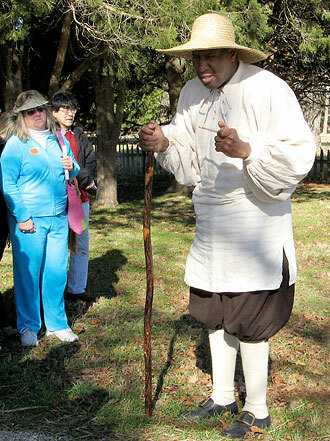 Join a park ranger for guided walking tours of the battlefield and 18th-century town. Visit the Nelson House, home to a signer of the Declaration of Independence, and the Moore House, site of the surrender negotiations (both open seasonally), and drive the seven-mile battlefield tour. 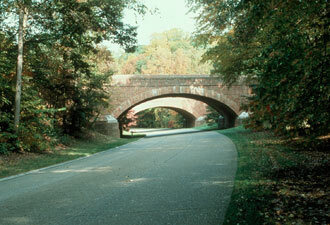 An integral part of Colonial National Historical Park is the 23-mile Colonial Parkway. Its panoramic vistas and gently winding curves will heighten expectations for what the next curve may bring. The roadway connects Virginia's historic triangle: Jamestown, Williamsburg, and Yorktown, and several million travelers a year use this route to enjoy the natural and cultural beauty of Virginia. It's a great way to retrace the steps of those who came before us - Europeans, Africans, and Native Americans - plan your visit and gain an appreciation for their lives and the times in which they lived.